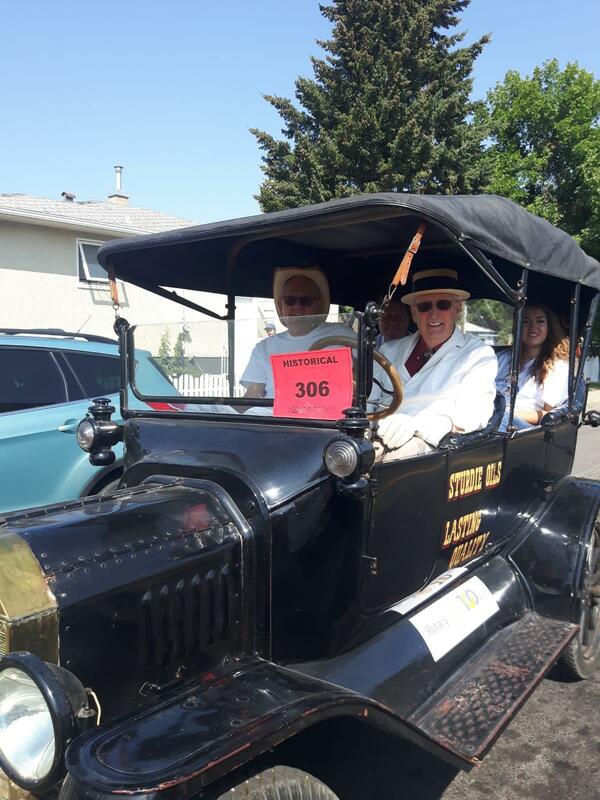 The 5 Rotary Clubs, Rotaract Club and Interact Clubs that call Lethbridge home joined forces in the Whoop-Up Days Parade on August 21, 2018. 2018 is the 100th aniversary of Rotary in Lethbridge and this was one way to let the community know our story. The Rotary float looked great and several Rotarians took turns pushing and spinning the float down the street. Rotarians and other volunteers handed out 3,000 colouring books to youth. The colouring books highlighted 100 years of Rotary involvement in Lethbridge. Above is the Rotary float parading down 3rd Ave. South. 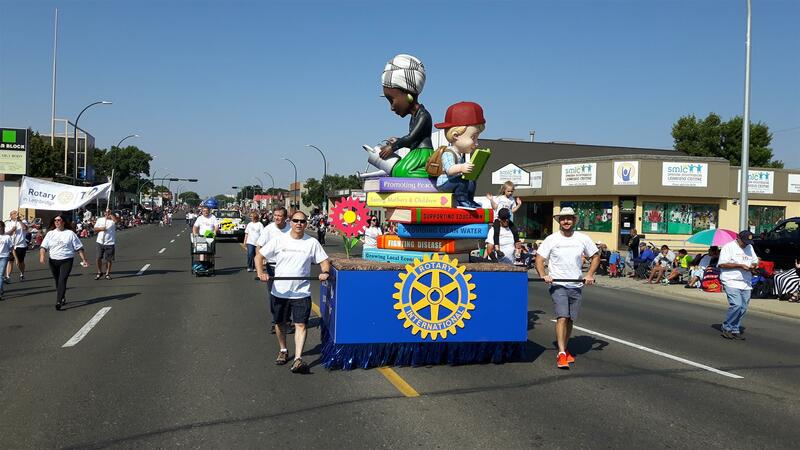 The Rotary float was shown on CTV News and Rotary Club of Lethbridge past-president Nick Nicolacopoulos was interviewed. Others Rotarians are shown distributing colouring books to kids. Other Rotarians participated in the parade. This year's parade marshalls were the presidents and past-presidents of the 5 Rotary Clubs in Lethbridge. Some individuals like Frank Johanssen from our club participated. Frank is shown here with his 1914 Model T Ford. Frank has owned this car for 60 years. He was accompanied in the parade by Gerry Colburn and Wes and Coral Skiba.